Ariana Grande insists she’s proud to be American despite video footage being released which showed her making anti-America comments. 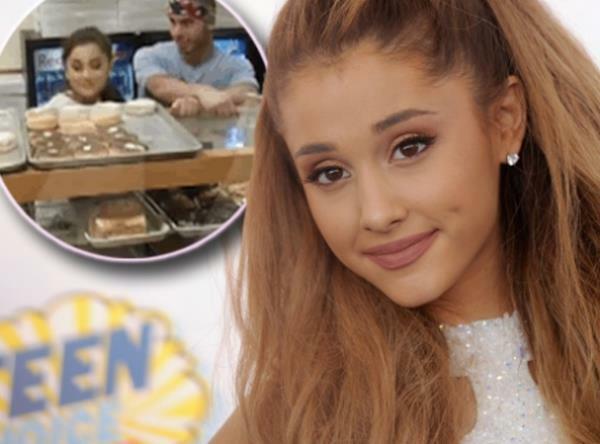 The Problem singer was caught on security camera at a Wolfee Donuts shop with backing dancer and rumoured boyfriend Ricky Alvarez. The pair seemed to lick unpurchased donuts before the 22-year-old turned and said “I hate America”. But since the footage went viral, the singer has released a statement to try and explain the situation. Ariana went on to explain how she was annoyed at the size and volume of the donuts considering the countries problems with obesity. And as a role model to young people, the star feels frustrated that American’s don’t always seem to think about what they are eating. “As an advocate for healthy eating, food is very important to me and I sometimes get upset by how freely we as Americans eat and consume things without giving any thought to the consequences that it has on our health and society as a whole,” she continued. “The fact that the United States has one of the highest child obesity rates in the world frustrates me. We need to do more to educate ourselves and our children about the dangers of overeating and the poison that we put into our bodies.